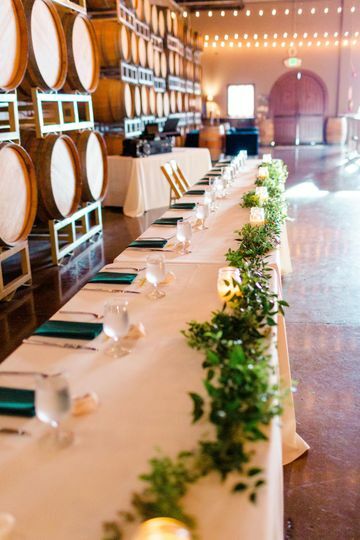 Domenico Winery is a romantic wedding venue located in San Carlos, California. 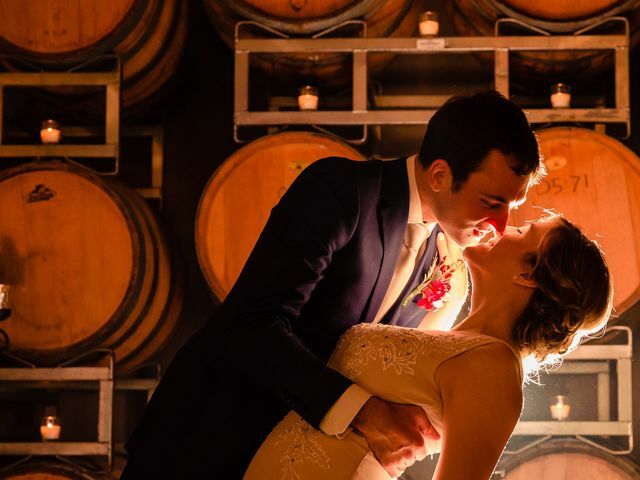 You no longer have to travel all the way to Napa for an authentic winery wedding. 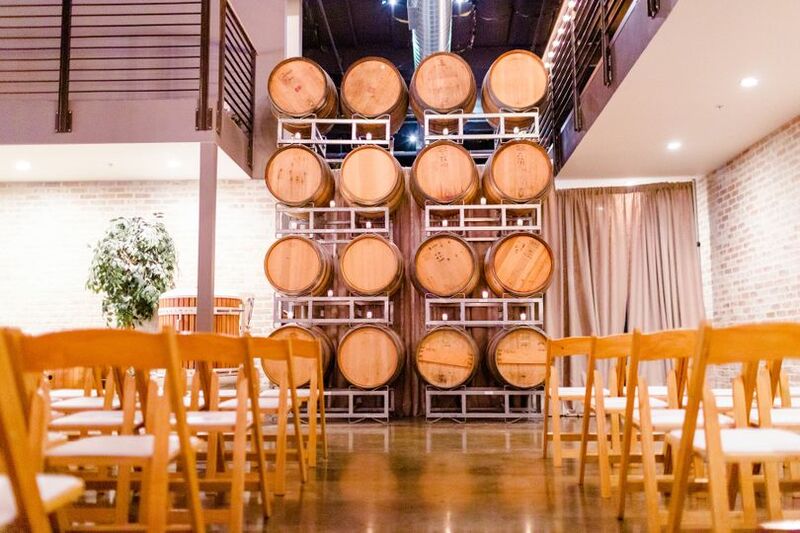 Aging, French Oak wine barrels make the perfect backdrop for a night of fun and celebration. 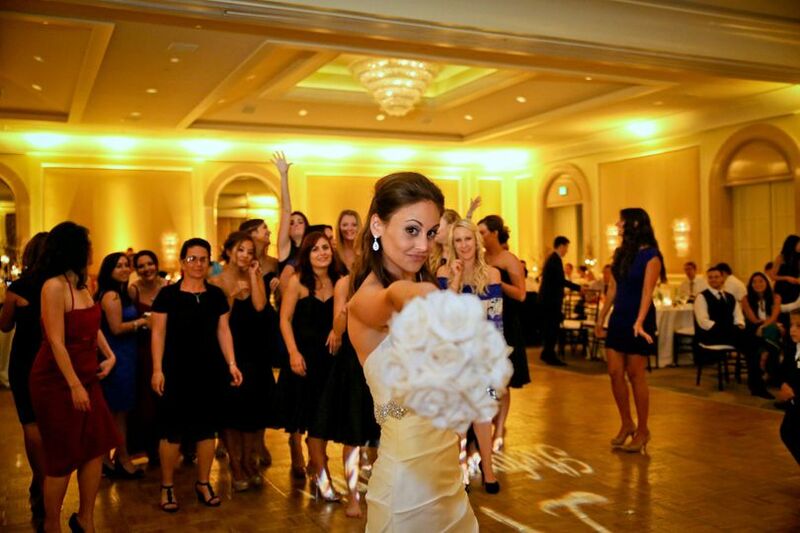 The venue is available to host bridal showers, engagement parties, receptions, and rehearsal dinners. 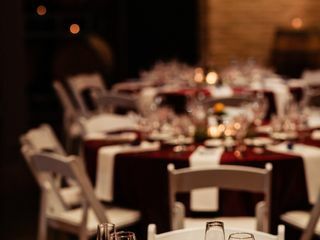 The Cask Room at Domenico Winery is an ideal spot to hold your wedding reception. A small private patio sits just off the cocktail area with three outdoor couches. 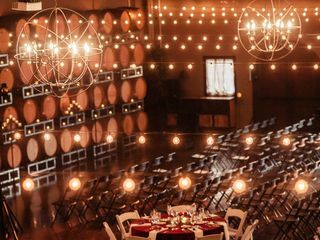 With market lights strung throughout the winery, guests can enjoy a glass of premium hand-crafted wine as they eat and dance the night away. The 7,500 square foot space has a maximum seated capacity of up to 450 guests. 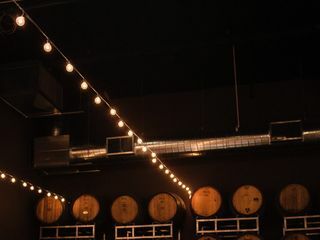 Two additional rooms, the Osteria and the Cold Room, are able to be added to the Cask Room for larger events if needed. 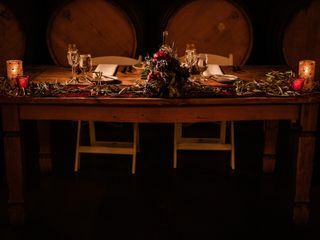 The Cask Room at Domenico Winery is only able to accommodate ceremonies indoors within the same room as the reception. 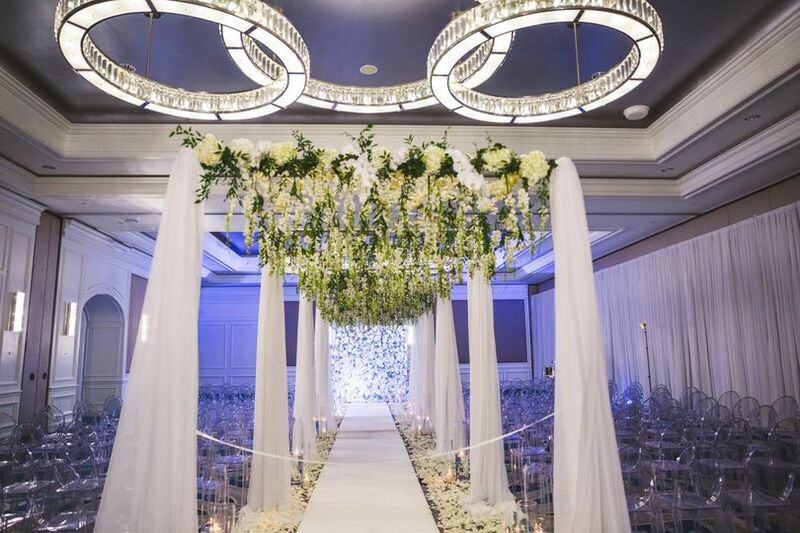 For a traditional theater-style ceremony set-up (additional cost of $450 for draping), the maximum guest count is 150 guests as space is needed for both ceremony/reception (the ceremony area can then be used for buffet or food stations). 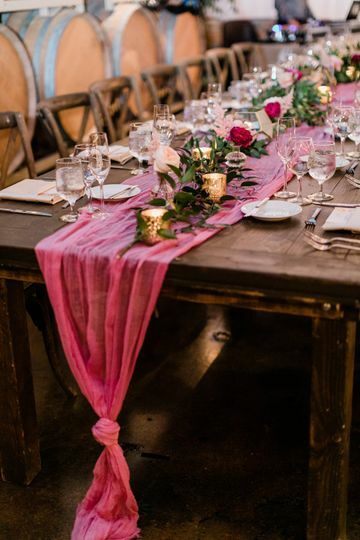 For a non-traditional ceremony (no additional cost) where guests watch from their dinner tables, this opens up the guest capacity to 300 comfortably. 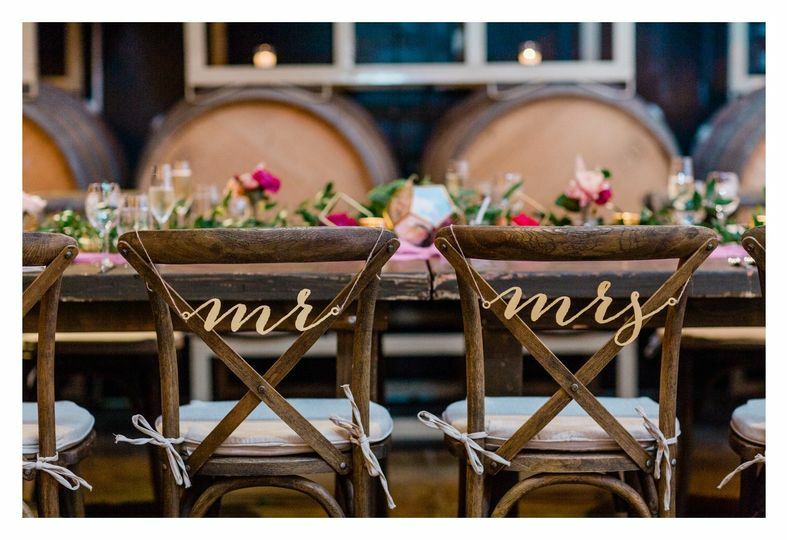 As mentioned above, Domenico Winery offers in-house catering of different cuisines as well as allows outside caterers for an additional fee. 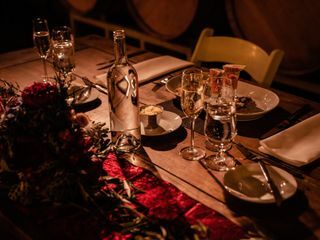 Some of their catering services include a buffet, family-style, or plated dinners, dessert bars, hors d’oeuvres, full-bar, and quarterly menu tastings. 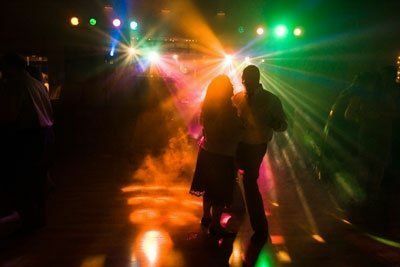 The venue provides all of the food and beverage items that are needed to enjoy a wonderful meal and easy planning for you. 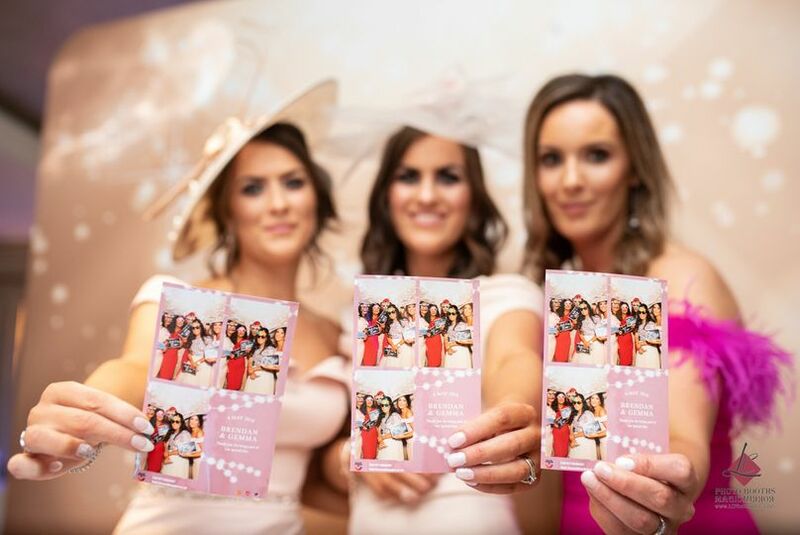 You and your spouse are going to want your guests to go home with a little something that will help them remember the momentous day for years to come. 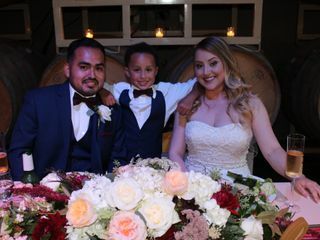 At Domenico Winery, you can create your own private label wine that is customized with a picture of the happy couple. 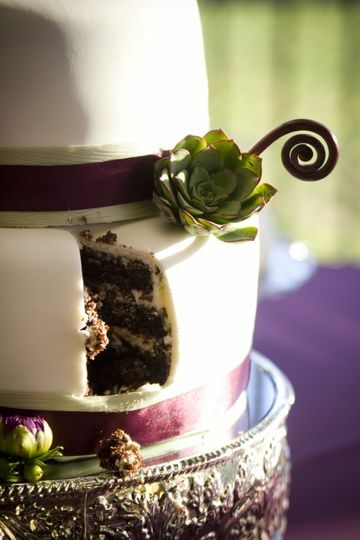 Your guests are sure to be impressed with this surprise. Keepsakes can be produced in half bottles for as wedding favors or even full bottles to be served at the reception. 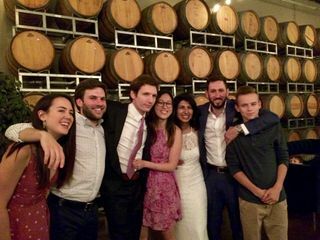 If you want your bridal party to be a part of this unique gift, you can turn it into a party and have all of your closest friends come in to bottle the wine themselves. Wine bottling as guest favors! Domenico Winery is a hidden gem! 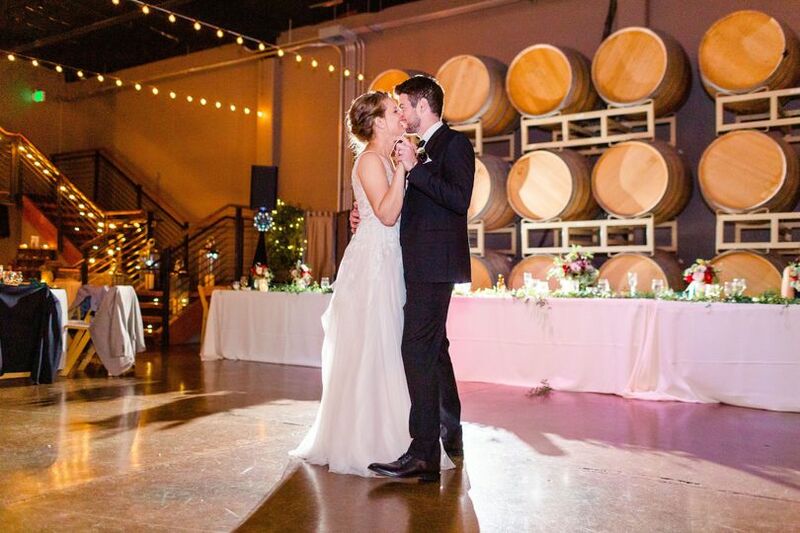 We fell in love with the venue the moment we walked through the door and knew it would be the perfect place for our wedding reception. 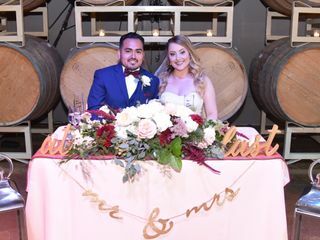 Our guests kept commenting to us throughout our reception how awesome the winery was and that it was such a great venue! 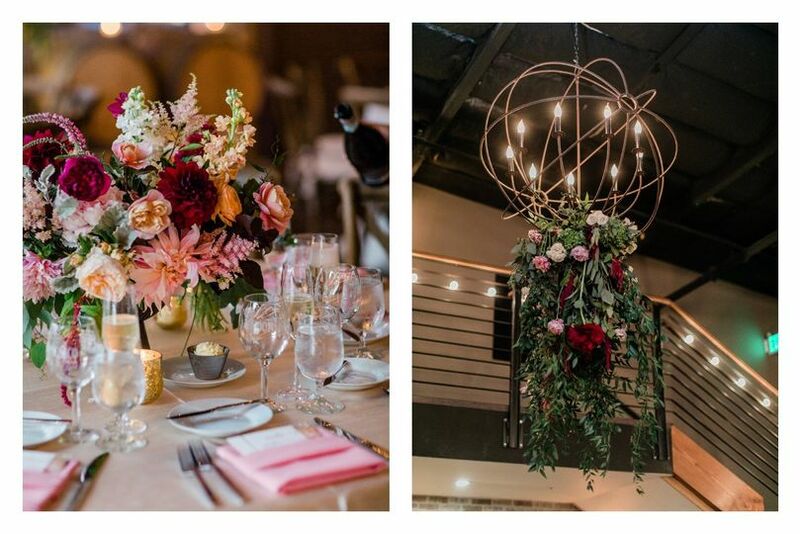 Taylor and Marina from Domenico were so friendly and made planning the reception so easy. The catering was delicious and the price was so reasonable! All the serving staff and bartenders were fun and friendly and very accommodating. 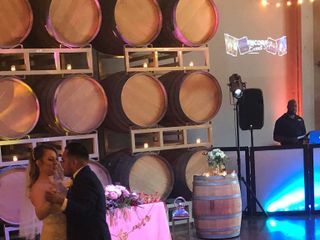 We would highly recommend Domenico Winery to anyone looking for a classy venue for their wedding or special event. Thank you, Sandy! We loved working with you and Mario so much. Cheers! The food wine & venue were Excellent! 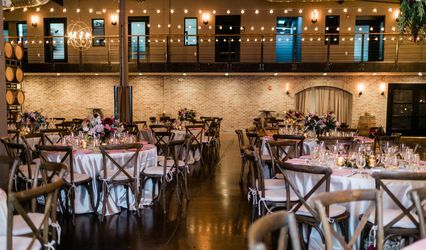 This venue was beautiful, the food & wine was delicious and the staff was amazing! They took care of every little detail. We added the Martini bar which the guests loved. Thank you Domenico Winery for a beautiful & perfect day! Thank you, Brianna. It was our pleasure to host your reception. The Pulgas Water Temple is such a beautiful place for a ceremony. Best wishes to you and Billy on this next chapter! I can't recommend Domenico Winery enough! 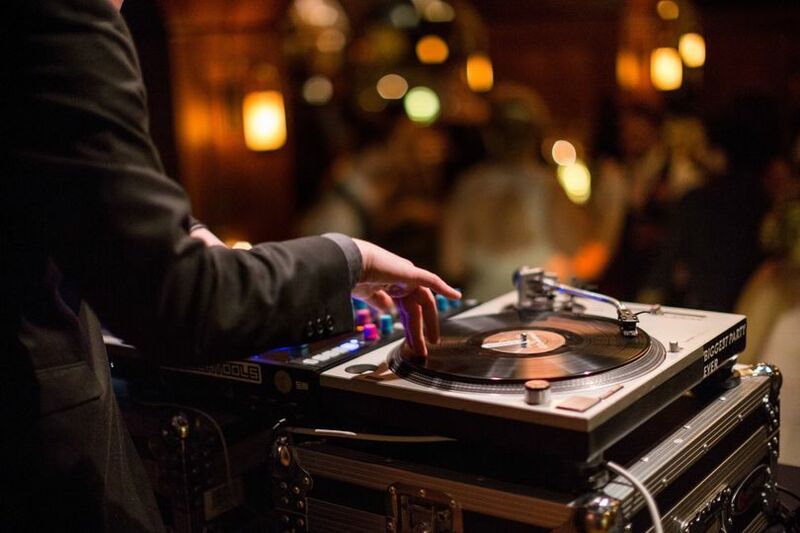 Our wedding reception was flawless, thanks to the amazing work of Domenico. Working with Marina and her team was an absolutely pleasure! 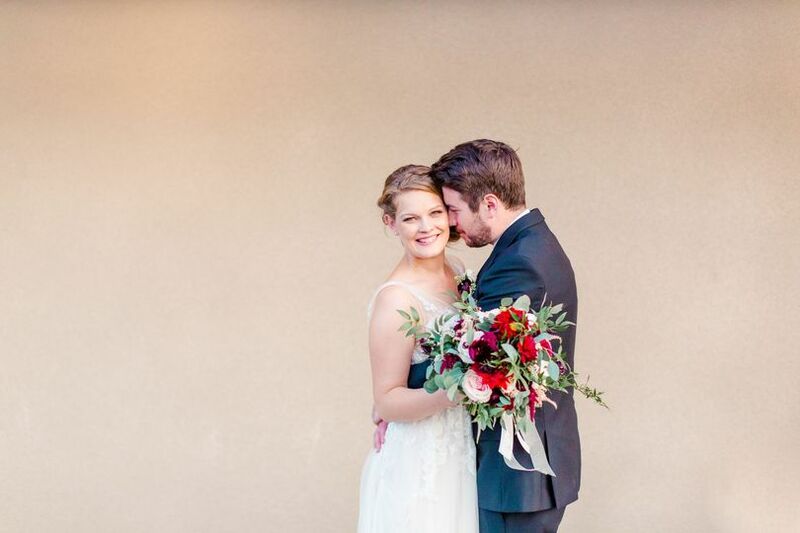 I was planning my wedding from Australia and Marina went out of her way to make sure every last detail was planned with me (we literally had hundreds of emails over the course of 9 months!) She would arrange for special tastings, meet with me when I was in town and moved around her schedule to accommodate my needs (which was very much appreciated!) I am so grateful to have worked with these kind people, the service was tremendous and the reception was breathtaking. My guests (a lot of whom are french!) 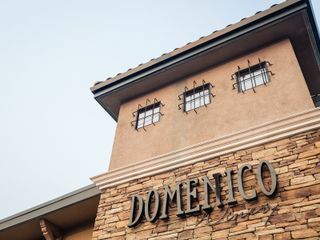 loved the food and the Domenico wine was sensational. I can't speak highly enough of Domenico. 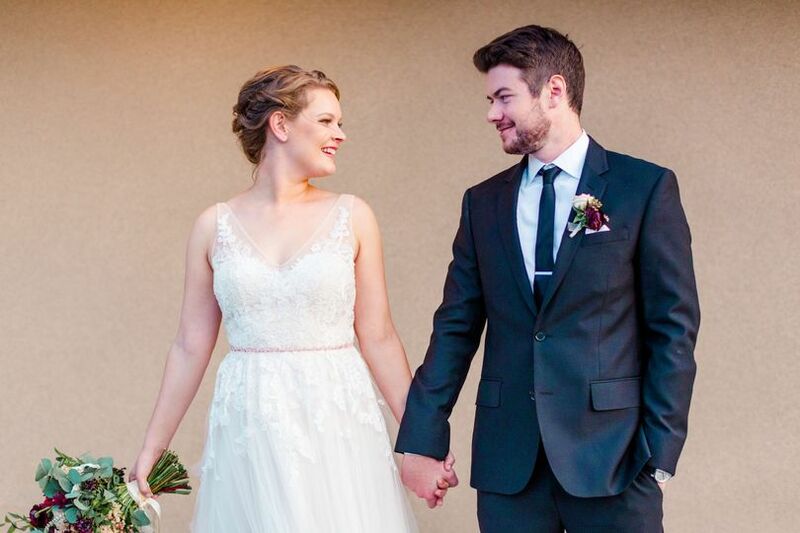 Thank you for making my wedding so special. 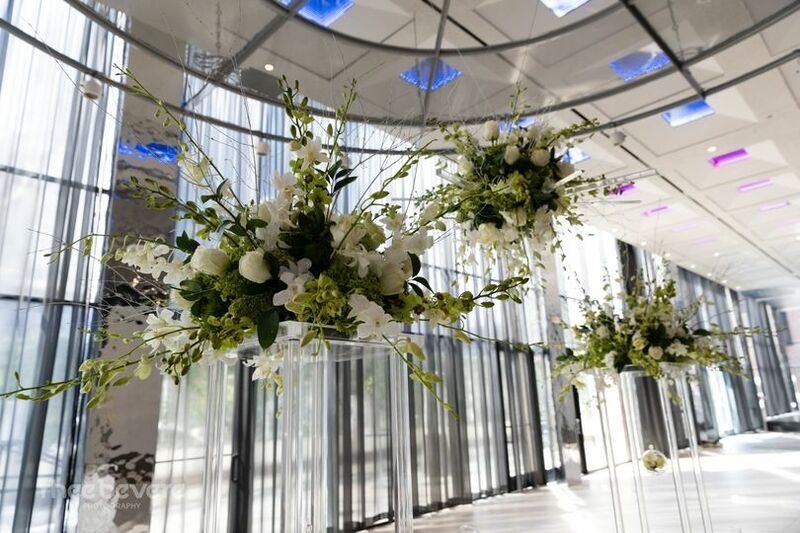 Receive $1500 off of the Venue Fee for any July wedding. Please mention this to your salesperson to receive this discount on your proposal. 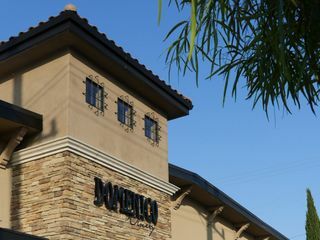 Domenico Winery is a jewel of a venue tucked into the very busy San Carlos area. So much versatility in the space! The staff is very accommodating and easy to work with! 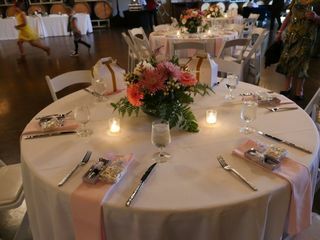 Domenico Winery is one of my favorite venues, hands down! They do an amazing job of creating that fairytale space that you&apos;ve always dreamed about as a kid growing up. 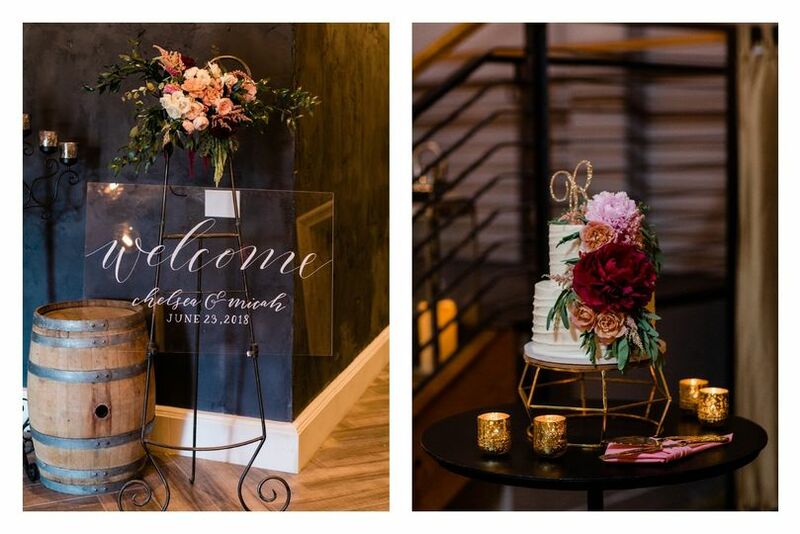 As a vendor, I have had the pleasure of creating several wedding cakes to be displayed there, and it was always a pleasure to come up with a design that matched their cozy, sparkling space.  Their service is always top-notch, and they are extremely organized - if I had to do it all over again, I would not hesitate to use them for my own wedding! Shooting a Wedding at Domenico Winery was a great experience. 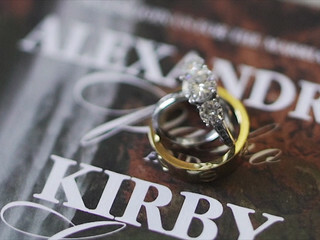 The venue itself was styled beautifully and everywhere I turned I found something interesting to shoot. The team of employees lead by Nick Chirichillo were super helpful and very accommodating for the entire duration of the event. 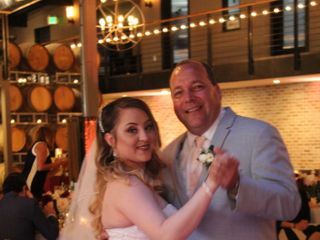 I highly recommend Domenico Winery to any couple who is having a South Bay Wedding.